Sani (Saturn) Dosham may arise in a Horoscope when Lord Sani (Saturn) occupies or resides in the 1st, 4th, 7th, 10th or the 8th and 12th cardinal houses. The transit of Saturn in the zodiac sign 12th 1st and 2nd from the house in which planet Moon is located at the time of your birth is known as Saade Sati of Saturn. The transit of Saturn into twelfth house from moon sign is called the first phase. The transit into the moon sign is the second phase. The transit into the second sign from the moon sign is the third phase. As Saturn remains for two and half year in each phase that is why it is called Saade Sati (7 ½). These 7 ½ years are never always be unlucky and unfavorable. But the lucky or unlucky or favorable or unfavorable depends just with the relation (friendly/enemity/neutral) with the ruler of that particular house and according to the ownership of Saturn in the house of birth sign. Lord Saneeshwara is the slowest mover among the others, who takes 2 ½ year to travel in each sign and takes 30 year to circum navigate the Sun. Saturn gives the appropriate punishments or rewards according to one’s sin act or sincerity. According to the ancient epic Ramayana, it is said that Lord Hanuman relieved the *Nine Planets / *Rahu / *Sani (Saturn) (* means need clarification), from the clutches of the Demon King Ravana. Hence they told the Lord that who ever prays you with sincere devotion, we won’t trouble them. Thus praying Lord Hanuman always will overcome from their hard times due to mis-placement of the malefic Planets also. First tie some black gingery seeds in a black cloth and dip in the gingery oil in a lamp (clay saucer) and light it. Then offer some black gingery seeds. And then you can recite the below mentioned Aarati Manthra and do Thil abhishek pooja. Chant the nama of Lord Rama or Hanuman regularly in the morning immediately after wakeup and at night before bed. After a bath recite the Hanuman Chaleesha every day for fast relief or on every Tuesday and Saturday. Visit Hanuman temple every day or every Tuesday and Saturday with no bad thoughts. Worship of Lord Hanuma on Tuesday and Saturday: Take a bath with sesame seeds on the head, recite the Hanuman Chaleesha song, and then go to Hanuman temple and leave sesame seeds or put a lamp with sesame oil, sugar and red gram. If you do it for 11 weeks. For those who are lagging behind in education, reciting Hanuman Chaleesha after praying lord Ganesha will give more beneficial results. One who has problems in infatuation of a girl or a boy so called as love failures, getting married or in their conjugal life, chanting of Hanuman chaleesha and regular worship helps them to overcome form their problems. For instance, if we see the Legendary Tale of Ramayana, Hanuman helped Lord Sri Ram get united with Sita after being up ducted by the Demon Ravana. For those who are affected by sani dasha or dosha, and then praying Hanuman is considered best. One who has Heart problem or Anxiety, fear or any mental stress, chanting Hanuman Chaleesha, the nama of Lord Rama, nama Jai Hanuman, etc, for as many times as possible in a day or a week gives good result. One who has troubles in their Career, Family, Financial, Business, Debts, may also pray the lord to overcome from them. One who worships Lord Hanuman sincere devotion will assist them like a Guru / Teacher; direct those in the right way to overcome form the any issues. Hanuman’s prayers will help you overcome negative attitude and induce courage. For one who wants to get relief from bad habits like adultery, laziness, infatuated mind, those thoughts of infatuations can also recite the Chaleesha manthra to get peace of mind. No need to wear any sort of gem stones referred by astrologers for those who worship Lord Hanuman regularly or wearing a Hanuman dollar on the neck. Reciting Hanuman Chaleesha and worship brings fast & immense relief from all sort or troubles in one’s life. Precaution For Women: Should worship Lord Hanuman before and after eight days of their regular period. During the worship of Lord Hanuman, its better to stop participate coitus with spouse. 1) Sri Naganathaswamy Temple Thirunageswaram, Kumbakonam. 2) Sri Raja Rajeshwari Temple In Nellore. 3) Sri Valli Devasena Sametha Sri Subramanya Swamy Temple Chittoor. 4) Sri Kalahasteeswara Swamy Sri Kalahasti. 5) Japali Anajaney Swamy Temple Tirumala. 6) Sri Thathaya Gunta Gangamma in Tirupati. 7) Ghati Subramanya Swamy Temple. married life . serious issues with husband in personal life,career not growing, not able to change job. Place orange color Ganapathy idol in your pooja room and worship daily – Gham Ganapathaye Namah for 108 times. You need to do Rahu kethu pooja on a Monday raahu kaal time. Or just recite Garuda Manthra for 108 times daily for best result or at least on every Saturdays. Recite Guru Manthra for 108 times daily or every Thursdays. Visit Harathi pooja of Sai Baba on Thursdays. Worship Lord Hanuman daily or every Saturdays, visit his temple regularly or on Saturdays removes your obstacles in your professional front. My date of birth is 2.8.67 n time is 5.30pm in the evening. sir im facing lots of problem in married life, in career, financially and socially also. also my lots of health issue. not able to concentrate on work. overall m not settled with lots of problems. pls advise. You have Naaga dosham and hence suffering in you familial life and as well you told. Having this dosh will also impact your life in all ways when our Lagna Lord is not placed. Perform Naaga Prathishta pooja. Also doing Rahu kethu pooja on regular intervals is also gives good result. Or just recite Garuda Manthra for 108 time daily for best result and visit any Lord Venkateshwara temple to worship Lord Garuda. Observe fast on Naaga Pancham day and doing rahu kethu pooja on that day is best. Daily worship Lord Ganesh – OM GHAM GANAPATHAYE NAMAH for 108 times early in the morning. Then Lord Subrahmanya – OM SARAVANABHAVAYE NAMAH for 108 times daily for best result or every Tuesdays for 21 days or 21 tuesdays. The more numbers of times you tell it you may get more benefits. Worship Dhakshinamurthy every Thursdays in a Shiva Temple. This is Satheesh Kumar again. My son’s time of birth is 6:54 AM on 28 Sept 1997. He is not able to concentrate on studies. Please advice. First always worship Lord Ganesh and then recite Guru Manthra for 108 times and then Shukra Manthra for 108 times daily or as on their respective days. Attending Sai Baba Haarathi pooja in temple benefits and he can do it at home also. Circumnavigate Navagrahas on every Saturdays and perform pooja to Guru and Shukra grahas on regular basis. Offering food to Guru / Teacher on a Thursday and getting their blessings is beneficial. For once perform Rahu kethu pooja on a Sunday or Monday raahu kaal time. First pooja to lord Ganesh and then rahu kethu pooja. Dear Sir, I am Satheesh. This is for my Son. His date of birth is 28 Sept 1997. Born in Calicut, Kerala. His study is discontinued.. Not able to concentrate on studies. Please advise. Please send time of birth also. My name is Mohan. DoB is 20th July 1981 and the time is 08:30 AM. From last couple of months facing lot of failures with relates to job. Attended many interviews but the end result is Negative. Please guide or suggest the solution. Please help me out and do the needful. Pitra dosha nivaran puja should be performed to pacify that malefic planet in Pitra paksha or any of the below days. Or simply perform Rahu kethu dosha Nivarana pooja regularly at Kalahasthi. Perform Surya Namaskaram daily during sun rise time. Having a lot of instability at work and family health. Is there any dosham and would appreciate if you could tell me a remedy. Currently residing our of India. Perform Navagraha Dosha Nivarana pooja. 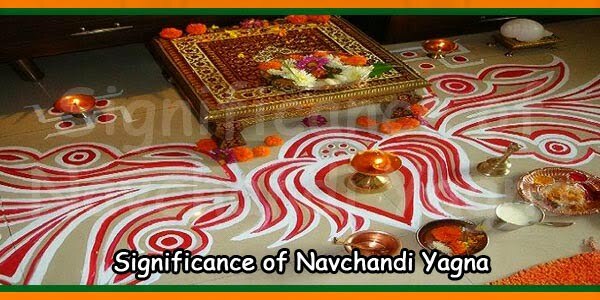 Circumnavigate Navagrahas on every Saturdays and offer pooja to planets Sun, Budha and Saturn regularly. Worship Lord Ganesh and Hanuman daily. Have kesariya tilak on your forehead and then go out. Presently you are in Saturn dasa so you need to do the above regularly. For health issues perform water abhishekam to Lord Shiva on every Mondays and recite Maha Mrithyunjeya manthra for 108 times. I am currently residing in UAE and there is no Navagrahas here, is there any other advise you may give me. Then recite Navagraha sthothram. I have send it to your email id pls check. Hi, My husband is facing difficulties on his business and financial.He couldnt concentrate on work and make decisions. name is yoga prakash,born 24/8/1977 at 1.20pm ,Kuala Lumpur. Can please check and suggest remedy?Appreciates your revert. Since 04.2013 he is under Saturn Maha dasa till 04.2032. Saturn is placed malefic and weak and hindering to be fortunated. He is bad planet for his rasi so also struggling. Establish Kesariya idols of Lord Ganesh and Hanuman – (Hanuman chaleesha) either at home or at his Business (best) – worship daily. If placed at his business should be in his office room where he should maintain it like a pooja room. That sort of cleanliness he should maintain. Daily pooja to the gods will surely make him overcome his obstacles and troubles. 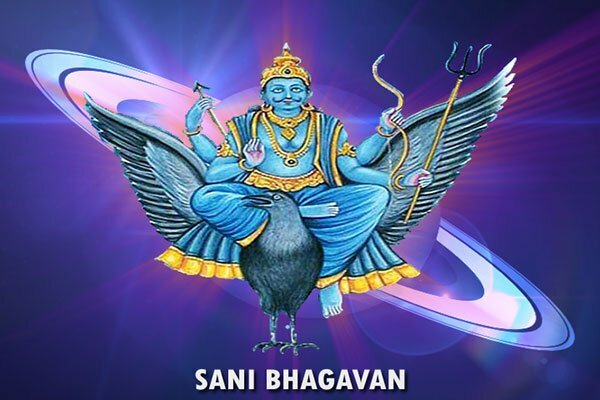 Also perform Tila abhishekam to Shani Dev on a Saturdays – regular intervals. Tell him to have kesariya tilak on his forehead daily. facing lot of problems in life.. please give me advise. Daily worship Lord Ganesh – OM GHAM GHAM GANAPATHAYE NAMA for 108 times and Lord Subrahmanya and your ishta lord. Perform Sashti Vrath pooja for 11 or 21 consequitive thithis. Recite Guru Manthram for 108 times daily or every Thursdays. Worship Lord Ganesh and Hanuman – Recite Hanuman chaleesha daily or every Tuesdays and Saturdays. Circumnavigate Navagrahas and perform Tila abhishekam to Shani deva on a Saturday on regular intervals. Attend Sai baba haarati pooja. Perform Water Abhishekam to Lord Shiva Linga on every Mondays evening after sun set time. Attend Pradosha pooja. I dont want to publish here my details could i send personally . Please send your details thru this comment section and we let you know thru your email. lost job,father ill, stress. not married till now. i m not initiated also. any remedy to pacify all this. Presently you are in Mars Maha dasa. Mars is placed debilitated in 8th of your horoscope. So in this maha dasha generally there will be delay in marriage. Hurdles in every undertaking, loss of property. You may suffer with health problems related to blood. Don’t trust any one except your family. 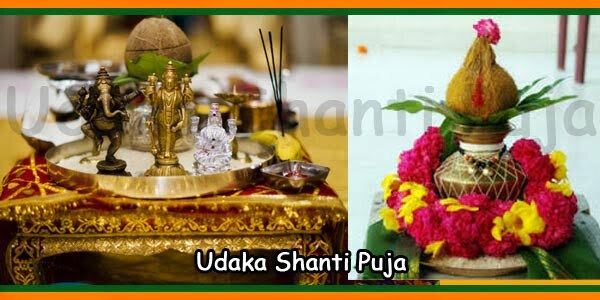 To overcome these problems, you need to chant Kuja mantra or Kuja stotra and or just worship lord Subrahmanya – Surahmaya Bhujanga sthothram or Skandha sashti kavach or Nrusimha for better results. For a better caree – Worship Lord Ganesh and recite Shukra manthra for 108 times daily or every Friday. Perform pooja to Shukra at the Navagrahas or simply circumnavigate the Navagrahas on every Saturdays ie enough. Worship of Lord Ganesh and Subrahmaya on every sashti thithi at home or in a temple gives better result for both health and job. You can also worship Lord Hanuman to bless your to overcome the issues. Unable to complete any activitiy, getting prolonged with out progress. You have Thakshak Kaala sarpa dosham. 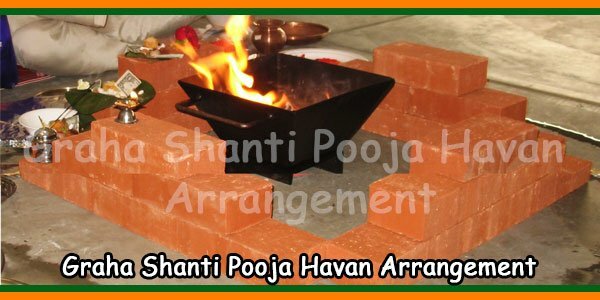 Perform Rahu Kethu pooja on any Monday or on a Krishna Paksha Panchami, Sashti, Amavasya, Pournami, Aslesha nakshathra days rahu kaal time. 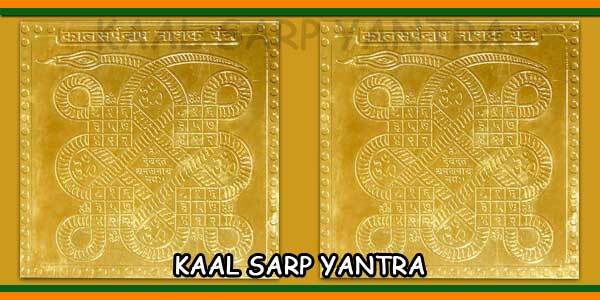 Establish Kaal Sarp Shanti Yantra in your home and worship it regularly. Observe fast on Naga Panchami every year. Recite Rahu mantra daily 108 times. 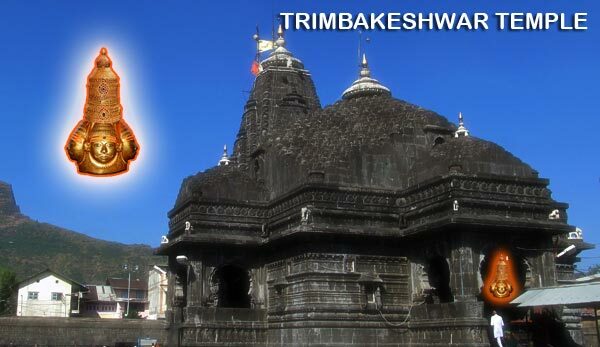 Do abhishek to lord Shiva for 30 days during the month of Shravana. Offer clothes (chola) sindoor (red lead) and jasmine oil etc. to Hanumanji on Tuesday and Saturday and recite ‘Om ham hanumate Rudratamkay hung fut’ 108 times. Recite Mahamrityunjaya Mantra 108 times is also good. Wearing Nagpaash Yantra on an auspicious time after recitation of mantras is beneficial. Worship a pair of snakes made of metal properly at Sangam of Alahabad and offer it to river along with milk and also do tarpan shradh once at Sangam. Or simply attend Kumbha mela held in Alahabad and do the pooja there the Naaga devathas or simply visit any temple and then have holy bath in the Triveni sangam to please gods and your ancestors and get their blessings. Kumbha mela dates are January 15 2019 till March 4 2019. You have Kaala sarpa dosham. Perform Rahu kethu pooja. Perform pooja to Lord Ganesh and then do rahu kethu pooja. Worship Lord Ganesh, Subrahmanya and Goddess Durga regularly with their sthothrams. Establish Kaala sarp yanthra on an auspicious consulting a temple priest nearby or any rahu kethu parihara sthala kshethra. Worship it daily or as per your feasibility but regularly by reciting rahu kamthra for 108 times. My husband’s name is Rohit Dob 23-3-1981 and he has been having too many accidents (in last 2 yearsbut3 major accidents)and not getting a better job also…what should he do to get good job and stability…please advise. Need time and place of birth also. Or simply perform Mrithyunjeya homa or just recite Mrithyunjeya manthra daily at home for 108 times or on every Mondays evening time. Perform or attend Pradosha Kaal pooja performed at every Lord Shiva temples. Remember to worship or perform pooja to Lord Ganesh first before any pooja or worship. My son Ankit’s date of birth is 6th August 1984 n timing 1.29 am between 5th -6th August..he is facing lots of problems in personal n professional life.. can you please suggest for the puja n details of mantras.. can I do on behalf of him..
Is he married. If married then may have familial issues. Daily need to wake up early before 5 and after a bath worship Lord Ganesh – any naama manthra for 108 times, then worship Hanuman – recite Hanuman chaleesha daily or every Tuesdays and Saturdays. Then chant Sukra mantra for 108 times or Lakshmi stotra daily or perform Sukra puja at nearby Navagraha temple regularly. Worship Lord Mrithyunjeya – recite Mrithyunjeya manthra daily will bestow good health and familial health. Perform Sathyanarayana Vrath on an auspicious day with whole hearted belief on God. Also need to worship any of your ishta devatha daily will surely bestow a solution for any problem. No both of you should not get seperate especially the boy since he is suffering with morning weakness he needs proper take care and that he will not get from his second marriage. Need to understand both. Both sit and analyse your problem and search for solution for that particular problem. There is a way for every problem where we fail to recognise that to solute and we thing could get better with the second one another one. That a flaw done by now a days youth. Lost things should be searched in the lost location and not somewhere else. Present youth do that only. Beyond Astrology there is something we can also transform and recreate the lost one from where we lost it. Try to do that. Try to make him understand. FORGIVING FOR THE LOVED ONE IS BEST THAN ANY SORT OF HAPPINESS. That we forgot and do think about SELF. My name is raghavendra rap.my dob 08-07-1982. Sorry to say that we have stopped giving predictions and remedies related to Financial, job, life problems, marriage compatibility etc. So please read the NOTE given above the COMMENT. Just worship Lord Shiva by recite Maha Mrithyunjeya manthra for 108 times daily evening between 0600 and 0730 hrs. Attebd Pradisga Pooja in a shiva temple. Presently Priyanka is in Rahu maha dasa till 11.2032. Rahu is not placed well in 8th house, hence this maha dasha the adverse effect will bring social backwardness, mental tension and anxiety. may get unnecessary fight with family members, may also have financial problems, ill health, fear and evil thoughts. To overcome from negative effects, chant durga Stotra or rahu mantra daily. Also perfrom Rahu kethu pooja on a Sashti thithi or Krishna Paksh Panchami thithi. My name is Yogesh born in Bangalore. I am undergoing lot of problems in my life, please suggest if any dosha and remedies to overcome it. Recite Budha manthra for 108 times daily or every Wednesdays for 108 times. Visit and worship the lord at Thiruvenkadu Swetharanyeswarar Temple in TN. To reduce rahu kethu dosham we have included in our site itself. So please visit. I am currently going through Shani Maha Dasha.Facing lot of trouble in my life, unstable job. I left my last job on July 2016 and till now i am jobless and facing trouble to find a new job. Feb 2017 I got married but I am facing a lot of problem in my married life. Sorry to say that we have stopped analyzing horoscope. Daily worship Lord Ganesh – recite slokams such as Suklama bharatharam,,,,,,,, and Vakrathunda maha kaaya,,,,,,,,,, and then OM GHAM GANAPATHAYE NAMAH for 108 times. Then worship Lord Hanuman – Hanuman chaleesha, any rama bhajans and then recite Shani Gayathri manthra for 108 times. All you have to do is just worship as much ardent you from your inner heart and tears before the lords and make your request before the gods. Circumnavigate Navagrahas on every Saturdays and perform Til abhishekam or just offer black sesame seeds or lit a sesame seed lamp to Lord Shani. My name is vikku and Taurus sign as my parents told me. Everyday I’m loosing my peace of mind since last year. People get angry with me without or silly reason and even some wants to harm me physically despite apololijing them, I keep thinking whole day random things. Entire relatives are unhappy with me. Sometimes I cry in my room due to my social failure and problems.I tried to focus but It has become difficult I used to study 8-10 hours earlier .A pandit told me it’s Ashtama shani. Condition has become worse I’m jobless and can’t focus on study as used to. Please help me I go to temple every Monday and Saturday for prayers. Wake up early in the morning before 0430, have a bath and start worship of Lord Ganesh – read ganeshji slokam, then OM GHAM GANAPATHAYE NAMAH for 108 times. Then worship lord Hanuman – Hanuman chaleesha. Daily or every Saturdays worship Lord Shani, and perform til abhishekam on possible Saturdays. You need to be very patience during this period then only you can achieve. If you feel that you are suffering too much then go away to another place where there is no known people of you. But during this period you need to develop confidence then only you can survive. Also after pooja practicing yoga or exercises is better for you, so start as I said. Worship Lord Ganesh and Hanuman daily. Then recite Budha manthra for 108 times and then Shukra manthra for 108 times daily. Pradhakshan to Navagrahas daily or every Saturdays is must. Satya Narayana, My DOB: 8th Jun 1984, 00.45 am, Uthara Star, Bhadrachalam. I wish to do higher studies but could not able move on..
Pls suggest if any Dosha, and poojas to be performed..
Just worship Lord Ganesh, Hanuman daily and then recite Budha manthra for 108 times daily in the early morning hourst before sun rise time. Worship Lord Ganesh, Hanuman and Lord Saturn. visit Hanuman temple on every Tuesdays and Fridays and circumnavigate the Navagrahas. And perform til Abhishek for Lord Saturn for consequitive 7 Saturdays and offer black sesame seeds. Perform Kumba vivaha ritual and recite Subrahmanya Bhujanga sthothram and Vishnu Sahasra naama sthothram daily morning. Attending in the Kalyana uthsavam of Lord Venkateshwara at Srinivasa Mangapuram or at Ahobila Nrusimha temple. My name is sangeetha, dob is 14th June 1984, at 12.30am,in Hyderabad. I am feeling mentally stressed very much and had fear. You have Kethu dosham. So performing rahu kethu pooja is beneficial. But this may not be the only reason for your fear. Presently you are in Chandra dasa and since Chandra is placed ill you are having such fear and mental stress. To overcome the negative effects during Moon dasha, you need to chant Chandra mantra or Siva panchakshari mantra. Recite Maha Mrithyunjeya Manthra for 108 times daily or every Mondays between 06.00 and 07.30 hrs will relieve you from such fear also. Always start your worship with Lord Ganesh. I had quit my job @ October 2016. Then I started studying Chartered Accountancy from January 2017. I have my intermediate exams this May 2018. Too much of anxiety about future and fear about exams. You have Naaga dosham. So perform Naaga Prathishta pooja at Rameshwaram temple and perform Rahu kethu pooja from next year on regular basis on a sashti thithi raahu kaalam time. Worship Lord Ganesh any slokam, Subrahmanya – sashti kavacham and Hanuman – Hanuman chaleesha daily. Visit Hanuman temple on Tuesdays or Saturdays. Reciting Maha Mrithyunjeya manthra on daily or every Mondays evening between 06.00 and 07.30 hrs will remove unknown fear and anxiety in you. Reciting manthra daily during a stipulated time with sincere dedication will make you dare to do anything in a positive approach. So do as I said or select some manthra on your choice and recite sincerely on regular basis. My name is A.R.Srinivas, and I was born on 14.5.1975 in Chennai at 9:41 AM. I am suffering a lot since 2013 and out of job since November 2015. Kindly suggest some prayers to get relief. Worship Lord Ganesh, Subrahmanya and Hanuman daily. Visit Hanuman temple and circumnavigate Navagrahas and perform til abhishekam for Lord Saturn on possible Saturdays and offer black sesame seeds. Recite Guru Manthra. Budha manthra daily for 108 times. Thank you very much for the kind suggestions. Can you please tell me where I can find the Manthras for Guru and Budha ? Any specific prayer to be told to Lord Ganesh ? Planet Saturn is weak placed in you chart and presently you are in Saturn Maha Dasa till 04.2029., then in this dasha you makes you suffer in every aspect of life. Worship Lord Lord Ganesh Hanuman – recite Hanuman chaleesha daily (best) or every Tuesdays and Saturdays. visit Hanuman temple every Saturdays and circumnavigate Navagrahas and perform Til abhishekam on any Saturdays on regular basis like once in a month or six months once. Offer black sesame seeds. Perform Til abhishekam at Shani Singhanapur. Avoid non veg and alcohol (if). You have Naaga dosham and hence such sufferings. 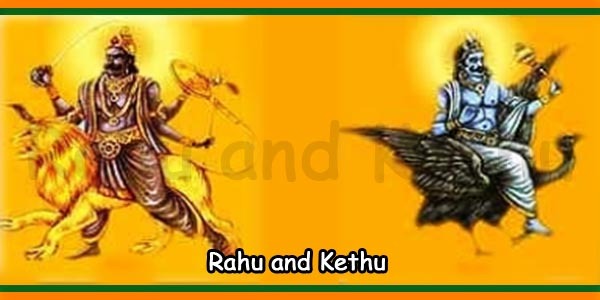 Both rahu and kethu are very weak placed in their houses and hence making you feel like such. Need to perform Naaga Prathishta at Kukke Subrahmanya temple on a Sashti thithi. You should have consulted an astrologer in your initial stage itself to get reduce the effect of the dosha. For now you can do the Naaga prathishta and recite Maha Mrithyunjeaya manthra for 108 times daily in the evening between 06.00 to 07.30 hrs. if you keep on doing this manthra recite then you can overcome from unknown fear. Raju life is not to end up. Our birth has decided by god for some purpose. Every body cannot enjoy the familial life because it may be your purva janam sukrutha. Hence realixing our karma need to act accordingly. Just think what you can do on your part. Please send us proper details about your birth time plance etc. I had amazing job and worked there for 7 years but in Sept 2017 our entire team was laid off, I lost my job and no luck since then. I was born on saturday , Can you please tell me any dosh? and if ye then remedies? I live in California, US but originally from Thane, Mumbai, Maharashtra. Your horoscope need to analyse in deep as there is no dosha present. Sorry for that we do not do. Hello I have been trying to get a flat for the past 5 years and my parents are also not doing well health wise. I am married and also looking to start a family. I am in service. My dob is 1.7.1983 at 8.15am Kolkata. Sorry, we do not predict your wish as we do just give presence of any doshas and remedies. You have low mangal dosha placed in 12th house. Also saturn and jupiter is also not that much favourable giving obstacles / delaying. Worship Lord Ganesha – any naama manthra for 108 times, then Hanuman – Hanuman chaleesha or every Tuesdays and Saturdays. Recite Mangal sthothram on every Tuesdays and observe a fast. Do as i said and please the lords with your prayers. My dob 26 7 ,1965 at 1.20 noon, I have no job,I live by selling,buying property. My shop was shut down last year.Please mention the doshas and remedies. For your query – need to check the present transit status to know abou the dosha or any other. We do not do such readings. Please excuse us. namaste.. we are waiting for kids,, my date of birth is 03/09/1980, my husband date of birth is 01/10/1970, so pls let us know when we will have kids and what pooja should perform. Need time and place of birth details also. Perform Maha Ganapathy pooja at home or at your business place. Or simply worship Lord Ganesha and Hanuman daily or every Tuesdays and Saturdays. Have saffron tilak on your forehead. Place Lakshmi Ganapathy and Hanuman photo in your business place facing towards east direction in the north eart corner. Keep the place clean where the photos are placed. Thank you for reply. Just wanted to know if I am suffering from dosa which is causing such loss. Thank you. To get rid from your problems recite the Maha Mrithyunjeya Manthra daily during the evening hours between 06.00 – 07.30 pm before a photo of Lord Shiva Parvathi or shiva linga. The ardent you do recite this manthra, you can please the lord. Also perform Sashti vrath on every shukla paksha thithis. Thank you for your support sir. I even want to know that are there any doshas in my kundali.Because what ever i do, i do it only half and leave it in the middle. i have half knowledge in every thing. The arrival of Saturn in 12th house would bestow potency to the person but with some of instability due to obstacles and negativity in the environment around. You are quiet reserved in nature / attitude and would prefer to stay in lurk arenas and solitude as they would feel secure in you. You will prefer to work hard behind the scenes besides which they would not receive the worthy recognition and reward for their endeavor. Also would lack at self belief and would be quiet unstable at the mental composure. The natives of this placement would be fearful of harsh realities of life and would be very sensitive to the evilness prevailing in the air. NOTE – Those who accepts and swims towards the harsh / true realities of life can only survive. Soft and innocent cannot survive. You are prone to confront unreasonable guilt and anxieties. So you have to overcome this attitude also. Yuu can best shine in business which is either family oriented or your own. But every ideas should be very much analysed first. You must be a non-vegetarian as that will provide better impact / impression / please Saturn. Try this – You should keep twelve almonds rapped in a black cloth and place it in a iron pot which should be kept in a dark room as to reduce the malefic impacts of this placement. Also follow as i told before and its enough. Worship Lord Ganesha and Hanuman daily in the early morning. Also recite Maha Mrithyunjeya manthra daily eveinging or on every Mondays evening between 06.00 – 07.30 pm. This manthra pooja is dedicated to Lord Shiva. This reduces you health issues. Lost my job in jan 2017,pls mention when will i get my new job. Sorry as we do not predict such query. Just worship Lord Gnesha early morning between 05.30 am by reciting OM GHAM GANESHAYA NAMAH for 108 times daily and make your request with the lord with faith. Rahu and Ketu placement are inauspicious in your chart. Also Mercury is placed in 12th house. You physical issues are due to the bad placement of Mercury. Saturn moving from Scorpio to Sagittarius during January 2017 which is not very positive as it will increase your expenses, financial commitments and pressures. You should mentally prepare yourself to handle challenges although there are many mitigating situations and circumstances that could help you avoid any setbacks or hassles as such. There will be good times during the last 2 months of the year, but you need to watchout for that. Worship Lord Ganesha, Subrahmanya, Hanuman and Sanaishwara daily. Have saffron tilak on your forehead daily. Also worship Lord Kaala Bhairava on every Sundays raahu kaala time and offer a ghee lamp. Spend some time deditating his naama in the temple itself before the lord. Be honest at your work and respect those who work with or under you. Maintain patience at your work area. There is no time of birth and hence we cant prepare your natal chart to check for any dosha presence. June 19 , 1985 during 8:45 pm . Expired due to sudden death , I am not settled yet meaning doesn’t have own house, cars and basic necessities. I have 1.3 months old girl and very loving wife. From last year we started quarrel on small issues. Can you please help how to remove tension and anxiety, many thanks!! The fourth house lord is malefic placed and hence you will have problems in your family and personal front. It also reveals the peace and harmony in ones life. Rahu malefic placement in 4th house represents Naaga dosham causes Chest pain or ailment, wife’s ill health, and unhappy married life. Due to the weak 4ht house lord you are facing the hurdles – panicked in front of small and temporary problems and not able to cope up with them. This weakness makes you prone to depression, anxiety, low self esteem and other kind of mental issues. So you need to be very careful in dealing with your family issues. Perform Rahu kethu pooja or just place a photo image of Rahu and worship daily by reciting rahu manthra for 108 times at home. Recite any naama manthra of Lord Ganesha for 108 times. Then recite the rahu manthra as mentioned above daily. Worship Lord Subrahmanya on every sashti thithi. Both of you do this worship. Perform this vreath sincerely and you can overcome from your financial problems also. Believe in gods and worship them sincerely and if you could pacify them you can overcome from your problems. My name is sheetal and birth date is 14 aug 1989,time 16.45 pm and my husband name dushyant DOB 10 june 1985 time 23.00pm. We got married 1.5 year back, facing problem in married life.please analyse and help. worship Lord Ganesha daily by reciting any of his naama manthra for 108 times early in the morning. You can perform the Pradosha pooja. M self Hanumantharao My date of birth: 10th June 1986 time 09:01 PM, My wife name Lakshmi NagaMalleswari 22 December 1992 time 12:38 P.M. we married last year 10th August 2016. After marriage onwards daily full quarrels and complete disturbances. 10 days we are very happy after 10 days quarrels, we are now not living together. Planning to take divorce. Kindly analyse our horoscope and compatibility and if we want to live together how is our future. Kindly reply to me one to one in mail. Rahu placement in 4th house for you denotes unhappy married life since Its Naaga dosham. You have mars dosha (Kujha dosham) in your charts and since it is present in Chandra kundali you will get quarrel with your spouse. Out of four compatibility kujha dosha match only is bad and hence creating quarrels in between you and making both of you to think about separation. My suggestion is don’t take divorce but just get separate for some days and look for an auspicious day and remarriage both. Doing so may reduce your Kujha dosham. Please come to an amicable state of mind to get settle your problems. See getting separate is easy. And come to a conclusion about doing remedies. Perform remedies that i suggest for one year and then sure you can live happily. But only thing is amicably should perform the poojas. Daily (except during her periods 10 days overall) worship Lord Ganesha by reciting any of the naama manthra for 108 times and Lord Hanuman by reciting Hanuman chaleesha or naama manthra of Lord Rama and his bhajans. Finish this simple poojas early in the morning before sun rise. And worship Lord Ardhanareeshwara swamy (incarnation of Lord Shiva) daily during the evening hours after sun set before 08.00 hrs by reciting Ardhanareeshwara sthothram. Or do this every Monday the same time that Pradosha time or on every Pradosham. Doing the above two procedures of worship sincerely daily will reduce your aggressive nature and pacifies the Mars planet. Now we are seperated shall i perform rahukethu pooja at srikalahasti. Kindly suggest me. Yes, you can perform the rahu kethu pooja. It just pacifies your dosha but you should also worship at home also. Worship Lord Ganesha like first say your wife name and your request to the lord and recite the naama manthra for 108 times and after finishing also say her name and your request. Do this daily without dropping. Do it sincerely also. May God Bless you to join with your spouse soon. Am married from past 3 years and yet no kids. You have Naaga dosham and hence there is a delay in getting progeny. Also should be analysed with your husband horoscope. You must do rahu kethu pooja once in every six months. Do this pooja in Mopi Devi Subrahmanya temple every time here or once here and next in Kalahasthi if you are a resident of AP. OR post your location and i will tell the nearby temple for you. Perform archana first to Lord Ganesha every time you do the rahu kethu pooja as it is must. Also worship Lord Subrahmanya sincerely daily or every Tuesdays and observe a fast (Tuesdays only). You can also perform sashti vrath continously that comes on every month. Do this pooja till you are concieved. I am married and having kids. Eventhough we have proper money inflow but there is no savings for future. Please suggest some remedy to control our debts. Date of birth Nov 15th and time 4.30 am. Or simply do worship Lord Ganesha by reciting any of his naama manthra for 108 times daily. This has to be done before sun rise. Doing this daily and if your prayers pleases the lord then your debts problems would be vanished & controlled. There is a Mangal dosha incompatibility and since you have malefic Rahu your will get delay in getting a progeny and family issues between you. As i said before Perform rahu kethu pooja. And you Keerthi place a kesariya Ganapathy in your pooja on an auspicious thithi and worship daily by reciting his naama manthra for 108 times. Also attend Pradosha pooja in shivay temples regularly or as per you possible. Or worship Lord Shiva / Ardhanareeshwara swamy on every Mondays evening between 06.30 – 07.30. this makes your conjugal life go smooth. There is no major dosham in your chart but need to check the compatibility list. So Please send ur husband details also. So that we can check the mismatchables and suggest you remedies. But simply you can do the Sashti vrath. If your prayers reaches the lord Subrahmanya then you will be blessed with a child. So do this pooja. Do not forget to srart this pooja with a pooja to Lord Ganesha as it is compulsory. Worship Lord Ganesha any naama manthra for 108 times, Subrahmanya – recite Subrahmanya ashtakam and Hanuman – Hanuman chaleesha.